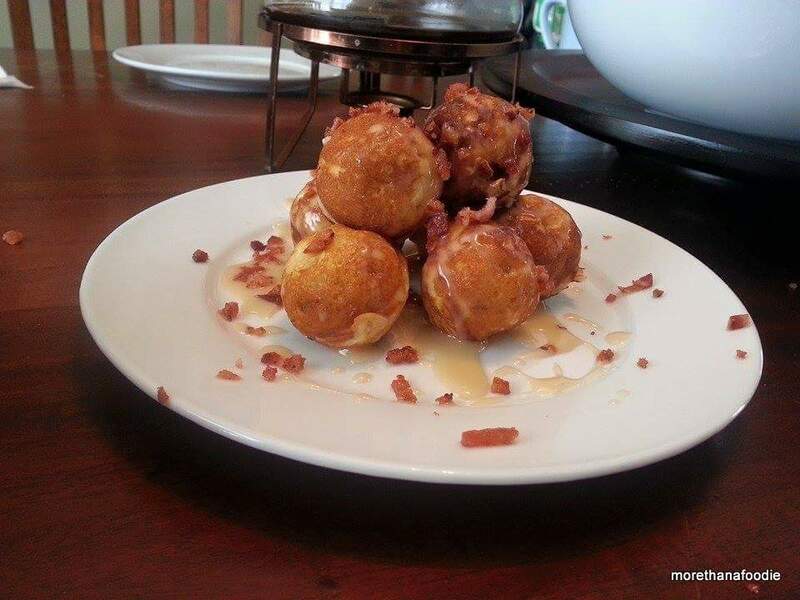 A challenge was issued to me on social media regarding a post found about this creative Maple Bacon Mochi Bite recipe from forktobelly. 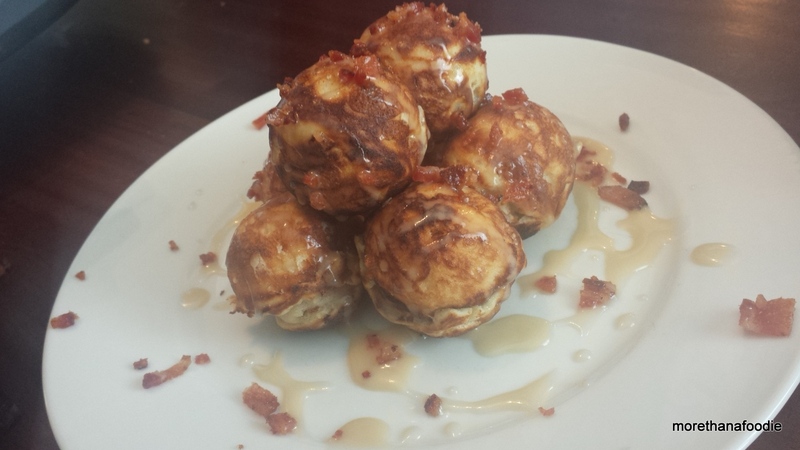 I accepted the challenge, but only if I could get my hands on a Japanese Takoyaki Pan. Thanks to the wonders of Amazon.com, we had the pan in two days. Game on! First of all, what is takoyaki? Takoyaki is literally “octopus fried” which is a popular street snack in Japan. Usually made hot and fresh on the streets. Served with various sauces and bonito (tuna) flakes. What is mochi? Mochi is most commonly a sweet filled treat made from glutenous rice flour. If you have never tried either of them, I suggest you give them a try. The genius over at forktobelly decided this would make a great combo and I couldn’t agree more. My iorn takoyaki pan in action. In the beginning it looks a bit overwhelming, but once you get started it comes together. 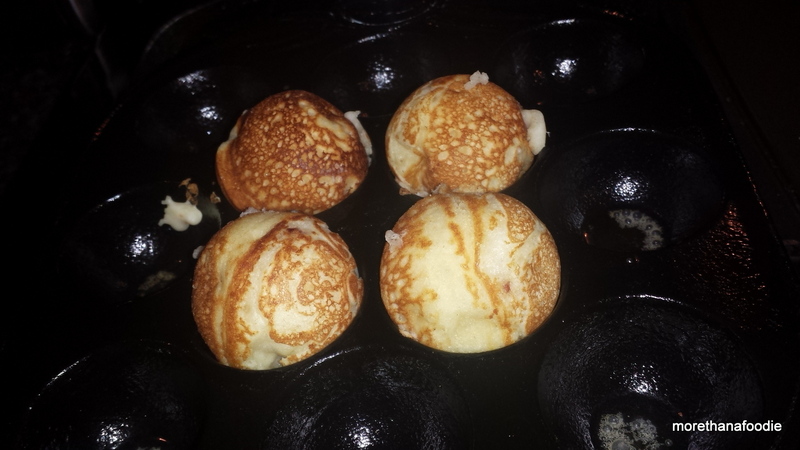 Just ensure your batter is in a pourable container, pan is hot, and you have sticks to turn the takoyaki. I used bamboo skewers and they worked like a charm. 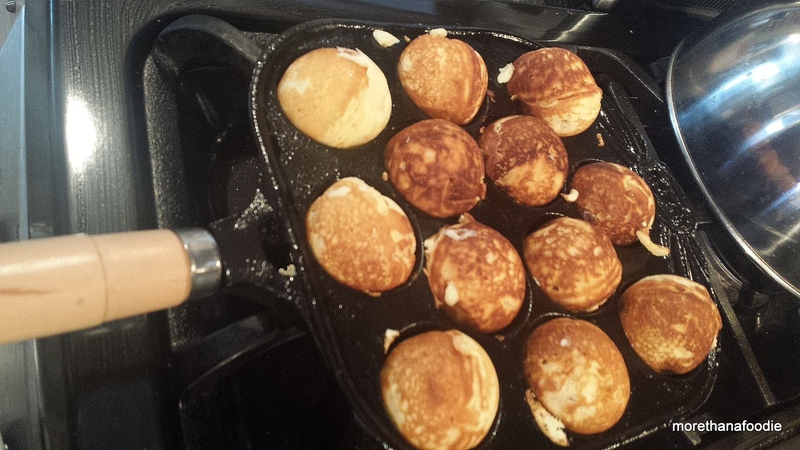 Once the batter starts cooking, turn them until they start to turn into little balls. 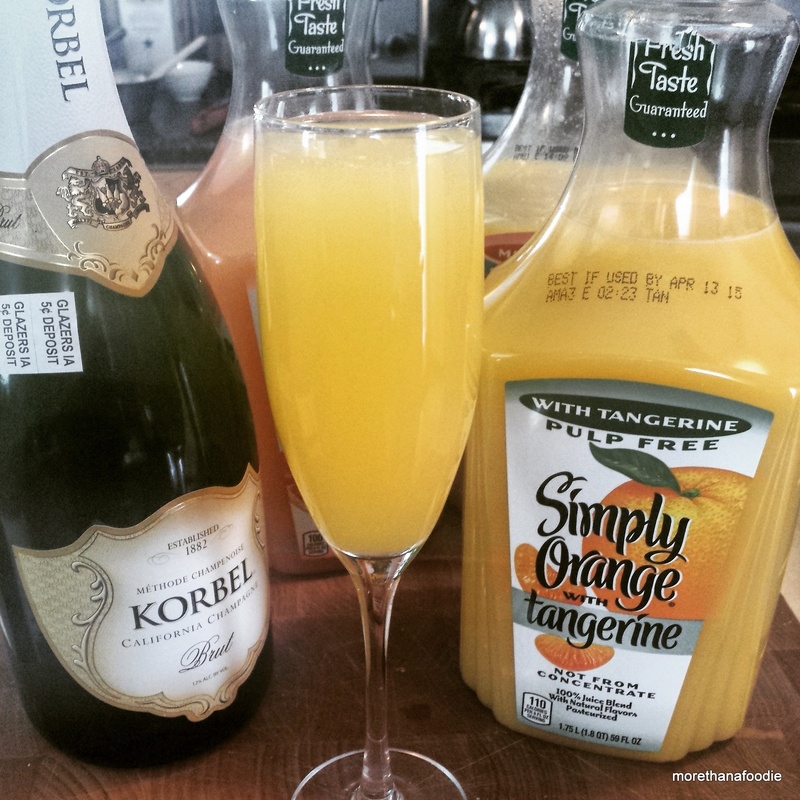 Mimosa’s are a great accompaniment. The mango and tangerine OJ is wonderful. 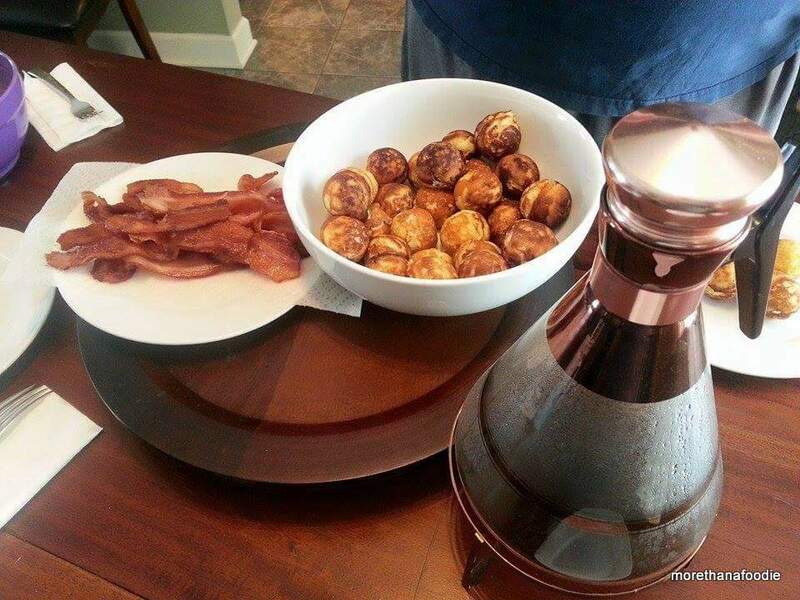 You also need plenty of extra bacon and coffee in fancy mid-century decanter. Well, that is optional! 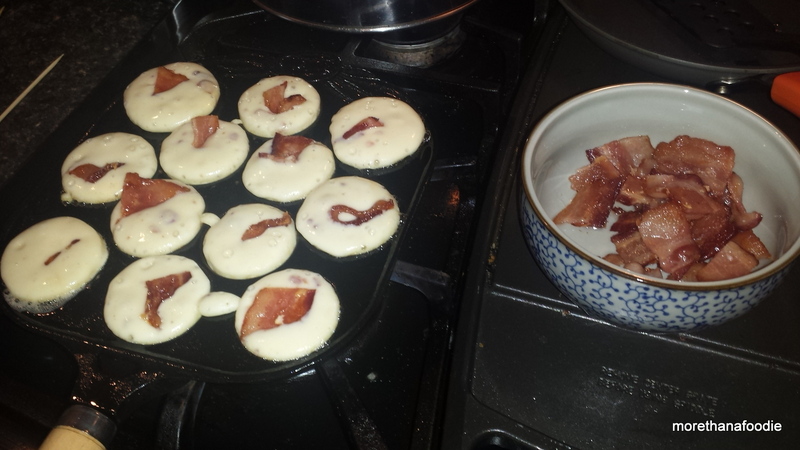 Serve hot with bacon crumbles and plenty of maple bacon glaze. Thanks forktobelly for the recipe. Thanks to Joel, Chad, & Morgan for issuing this challenge which I think we pulled off marvelously!